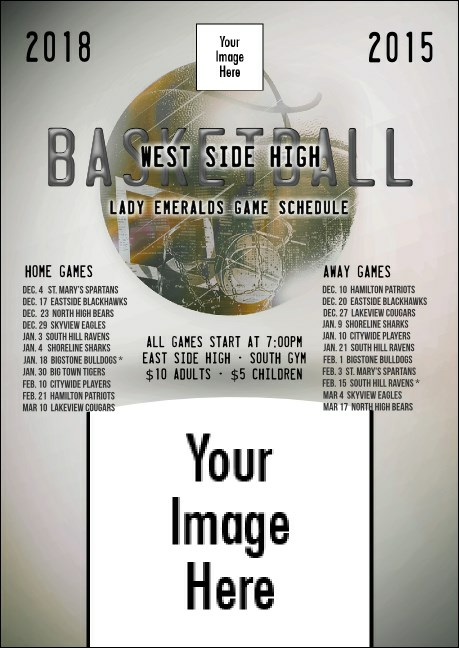 Give your team an assist when you use the Basketball Schedule Club Flyer! This template makes it easy to share the entire season's agenda with long time fans and club newcomers. A generous 32 spots are open for club info and schedule, while two custom images can be used for a team logo and photo. The right club flyer from TicketPrinting.com can help get your name out there!